A Filipina nurse/midwife earned praises from netizens and fellow overseas Filipino workers (OFWs) for taking pride in being a household worker. 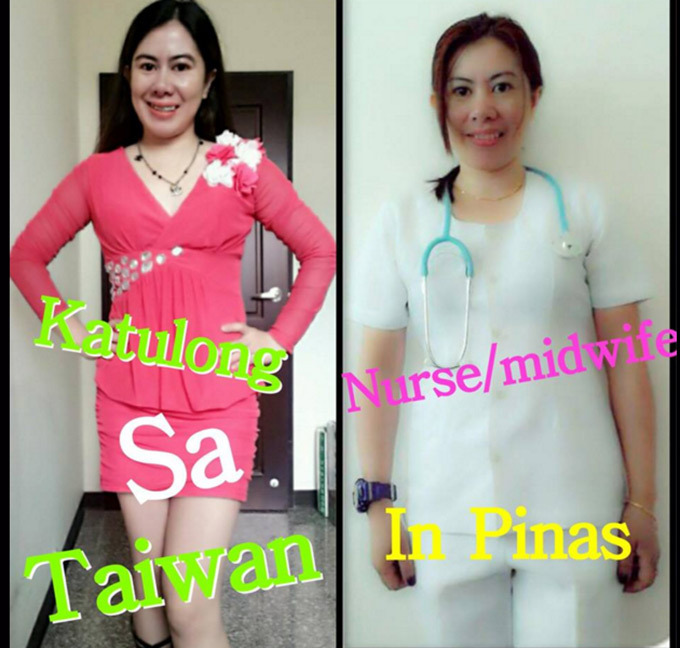 Iries Jane Belton, who uses the handle Sweetybabes Iriesh on Facebook, chose to work as a domestic helper in Taiwan in spite of being a health care professional in the Philippines. The proud Pinay said she doesn't care about what people say as long as her job is decent and she is not stealing from others. She got used to be dependent on her parents but after overcoming the challenges and hardships while working abroad for ten years, Belton said she learned a lot and has become a better person. Belton did not only lift her head up high, she also boosted the morale of Filipino household workers worldwide.